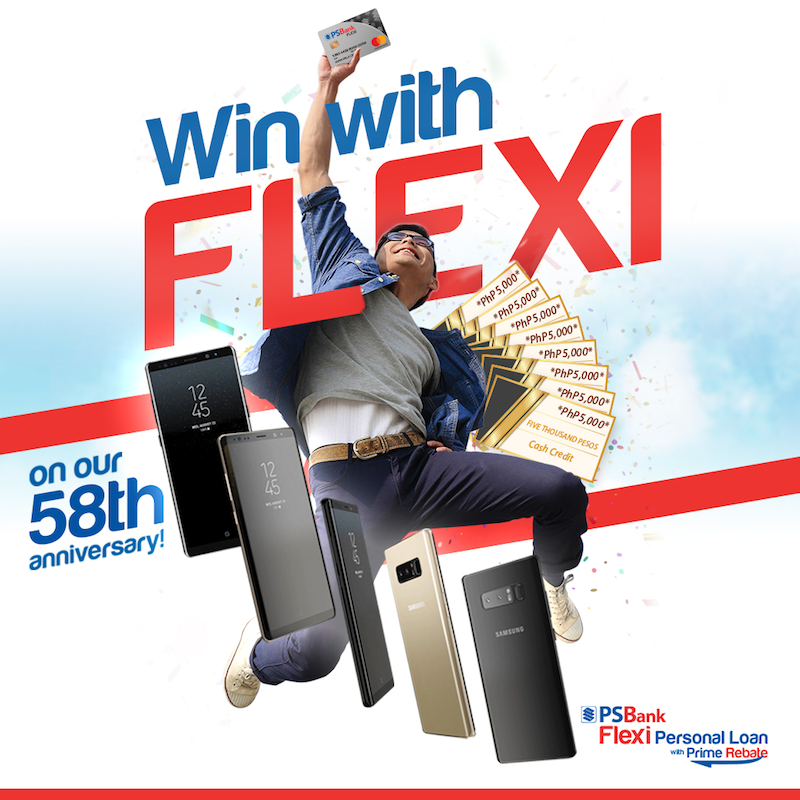 Win a Samsung Galaxy Note 8 or PHP 5K cash credits with PSBank Flexi Personal Loan! Home / news / promo / psbank / Win a Samsung Galaxy Note 8 or PHP 5K cash credits with PSBank Flexi Personal Loan! PSBank is currently on the lookout for their customers who can win these exciting prizes at "Win with Flexi" raffle promo! In celebration of the 58th anniversary of PSBank, they are running a raffle promo from July 30 to September 30, 2018. Clients of PSBank can earn one point with a minimum cumulative loan amount of PHP 5,000. Five lucky PSBank customers can win Samsung Galaxy Note 8 and eight lucky winners can get PHP 5,000 cash credits! Winners will be electronically drawn on October 12, 2018 at the PSBank Head Office in Makati. PSBank Flexi Personal Loan has low interest rates, flexible installment terms, collateral fee, and convenient payment modes. Qualified customers of PSBank can borrow up to PHP 250,000 to fund vacations, home improvements, and other life projects. To know more about this promo, visit PSBank website. Are you going to join their raffle promo? Share this with your friends now!